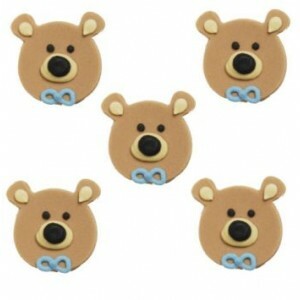 A set of 5 sugar crafted cake decorations ideal to give the finishing touches to your Cup Cakes. These are a pastel blue teddy bears ideal for your baby boy celebration. These are high quality edible cake decorations.